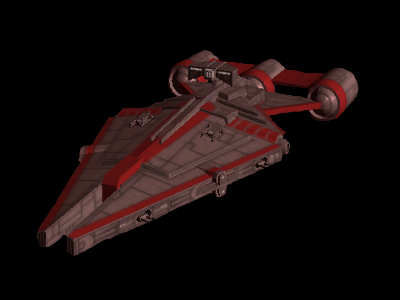 Originally produced during the Clone Wars, the Arquitens-class light cruiser proved to be a well equipped ship due to the technological race of the time period. 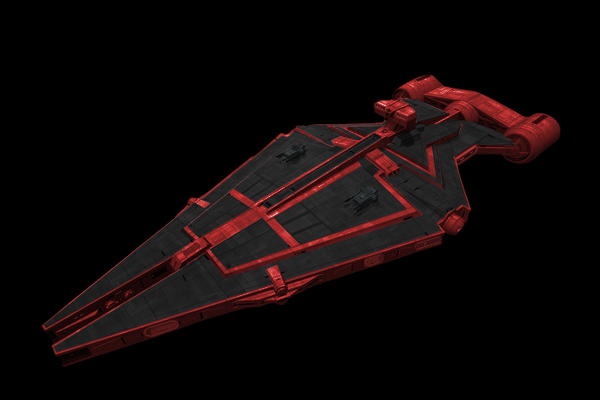 The V-shaped bow and T-Shaped command module are reminiscent of the Vengeance class, while its engines follow designs of the Consular class. 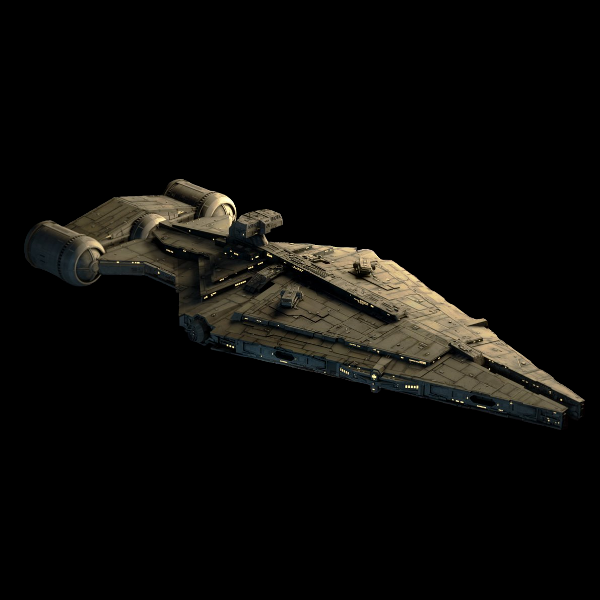 The vessel could be easily identified with its pronounced split in the bow, and also featured two docking rings. It was based on modular design with new duro-alloys that allowed it to be produced in large numbers, in a relatively short time, without loss of integrity. Its design as well as armament and shielding allowed it to be agile and useful on any battlefield, including land, air, and space. Although the firepower was typical of ships of its class, the addition of torpedoes allowed it to be a little more viable in a fight. 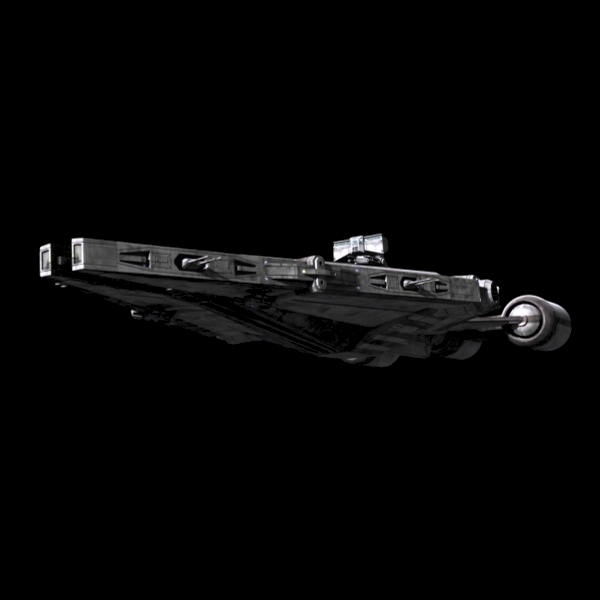 Another unique feature was the ability of its guns to fully retract to prevent damage sustained from re-entry. The shields installed on the vessel are more typical, but have more then proved themselves as able to take substantial damage while still holding up. 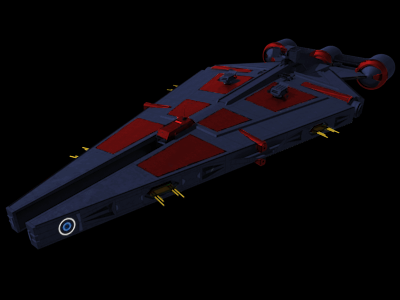 It could rain down heavy supportive fire upon its enemies while sustaining large amounts of heavy fire in return. 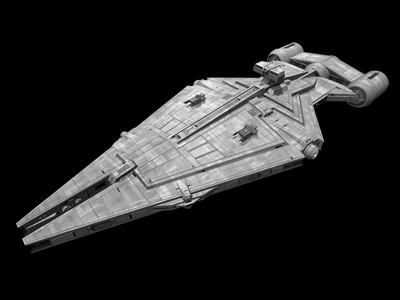 The Arquitens proved essential to any armada as it could be created quickly, deployed with minimal manpower, and support fleet operations in a variety of situations. All in all this technological wonder was something to behold in its prime. 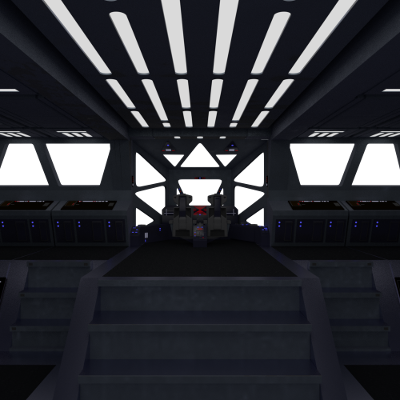 However, further technological advancements made this vessel obsolete against other ships of its class, resulting in many Arquitens becoming mothballed or sent to the breakers for material reclamation to produce more advanced craft. 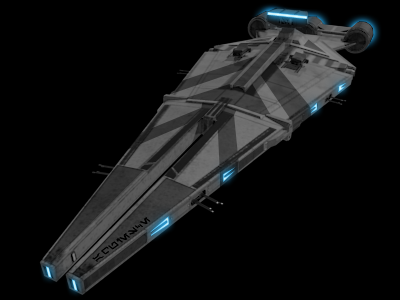 The remaining ships today are survivors of the ship graveyards that are scattered across the galaxy. 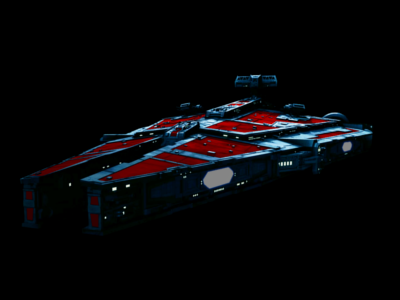 Each one has a history that speaks of different times, times when this vessel prowled the depths of space and hunted its prey wherever it went to ground.